Recently engaged and looking for the perfect spot for a destination wedding? Sandals South Coast is worth considering. Designed as an adults-only couples retreat, Sandals South Coast is luxury destination set on a two-mile stretch of beach. The all-new Over-the-Water Chapel provides a romantic and one-of-a-kind setting for couples to tie the knot while the Caribbean Sea is beneath their feet and the gentle breezes flow. Continue reading below the photo of the chapel. After the wedding, couples can retreat to the all-new overwater bungalows with hardwood floors, vaulted ceilings, and custom crafted king-sized beds with plush pillows and luxury linens. 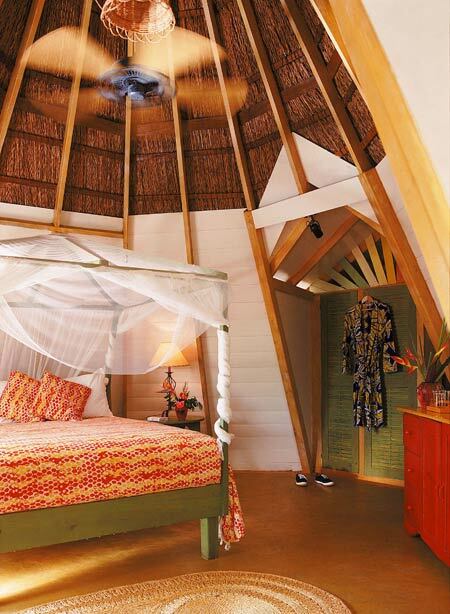 Each of the bungalows has a large ceiling fan to enhance the fresh Caribbean breezes, as well as smart TVs, and glass floor planels for couples to enjoy sea views at any time. Continue reading below the photo. While spa-inspired bathrooms have his and hers sinks with large backlit mirrors, and walk-in rain showers. Each overwater bungalow has a private patio with an extended sun deck, outdoor soaking tub for two, an over-water hammock, sun loungers, outdoor shower, and bistro set to enjoy private outdoor dining for two. Plus, these bungalows include 24-hour Butler Elite service to personalize every couples experience, as well as in-room dining and room service, personal airport greeting, expedited immigration, and welcome gift. Read more below the overwater bungalow photo. Beyond the overwater bungalows and the Over-the-Water Chapel, Sandals South Coast offers an adults-only all-inclusive experience. Situated within a 500-acre nature preserve, the resort has three distinctive European Villages. At the seaside oasis guests can dine at the new Sushi on the Sand restaurant, relax in one of three pools, including one of the largest in Jamaica, and enjoy evenings at bonfires and fire pits. The Blackwell Rum Bar at The Caves was created from two limestone grottos. furnished with cut stone tables and benches built by local stone masons. Azul Sensatori Jamaica features 3 swimming pools, plus a wading pool for the little ones with a splash park. We've found a killer substitute for the NYC Marathon. Try a pasta party, post-race spa treatment, and celebratory cocktail party in Jamaica. Head south for the December 3, 2011 marathon in Negril and shack up at The Caves, the beautiful cliffside boutique hotel located near the race starting line. The resort has created a delightful "Reggae, Running & Relaxation" package for runners that even includes race transfers. Plus, if you want to stay a little longer, you'll get 10% off any additional nights booked. After you experience one of the most incredible runs of your life (along the island's north coast), you'll get whisked away to The Caves for a party in the Blackwell Rum Bar, followed by a Blue Mountain Coffee Scrub at the spa, a dip in the sea, and a snorkeling tour through the gorgeous limestone grottos.